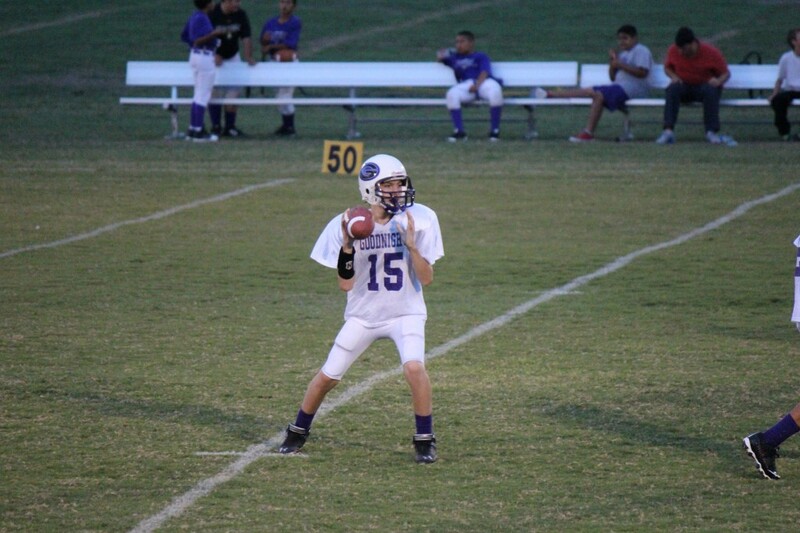 The 7th football teams traveled to Lockhart to battle the Lions in their home den. 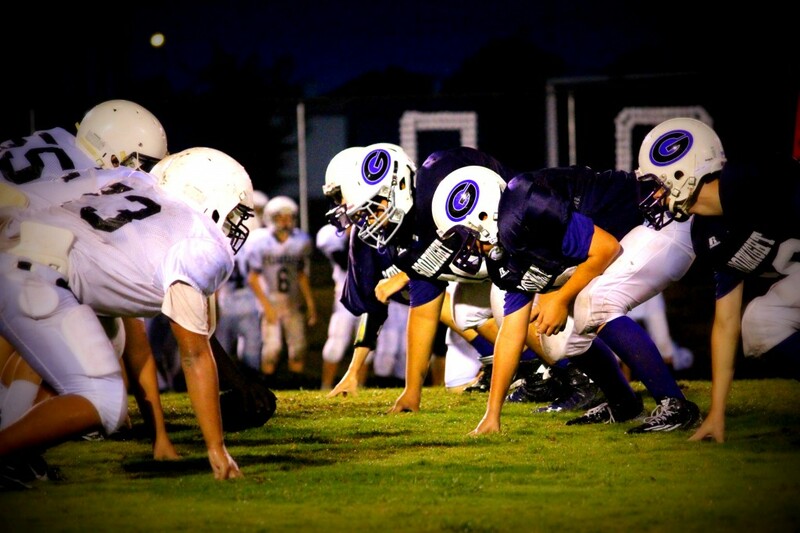 The B team started the off the night with a bang shutting out the Lions 37-0. On defense, Xavier Torres stripped the Lions running back of the ball and ran it back for a Rattlers’ touchdown. The offense was headed by an all-out ground attack centered around Trey Lewis who found the end zone four times. 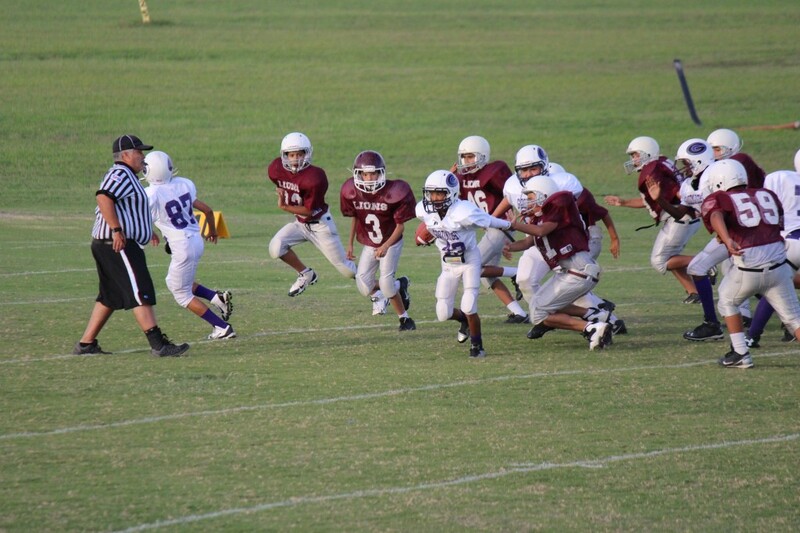 Trey ran behind the blocking of Patrick Ray, Carlos Hernandez, Kevin Vasquez, Xavier Torres and fullback Gage Mason. 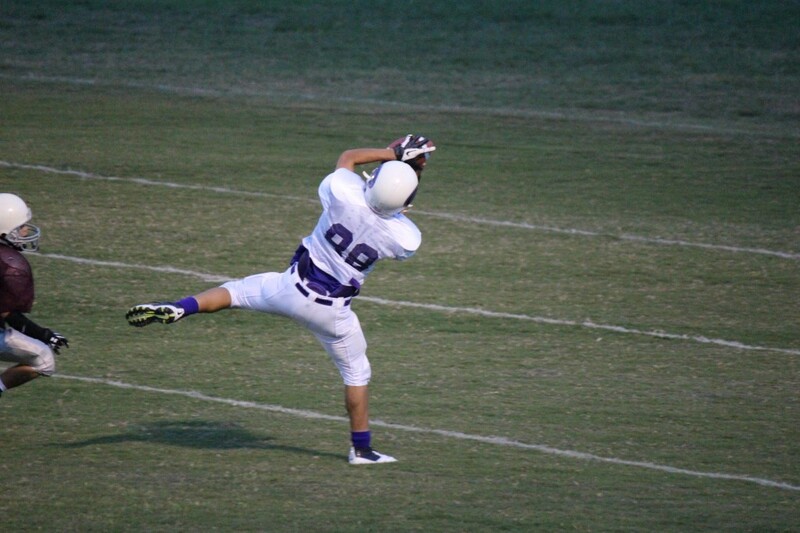 Erick Gallegos also added a 20 yard touchdown pass to Lewis for the final score. Alex Garcia sets up for a 40 yard TD pass to Carlos Hernandez. The A team did not let up on the gas pedal in the second game of the evening finishing with a 25-6 victory. The Lockhart quarterback was put on high alert after Rattler defender Mike Quitana busted through their offensive line to pick up a sack. The Purple Thunder defense was on full display limiting the Lions to six points. 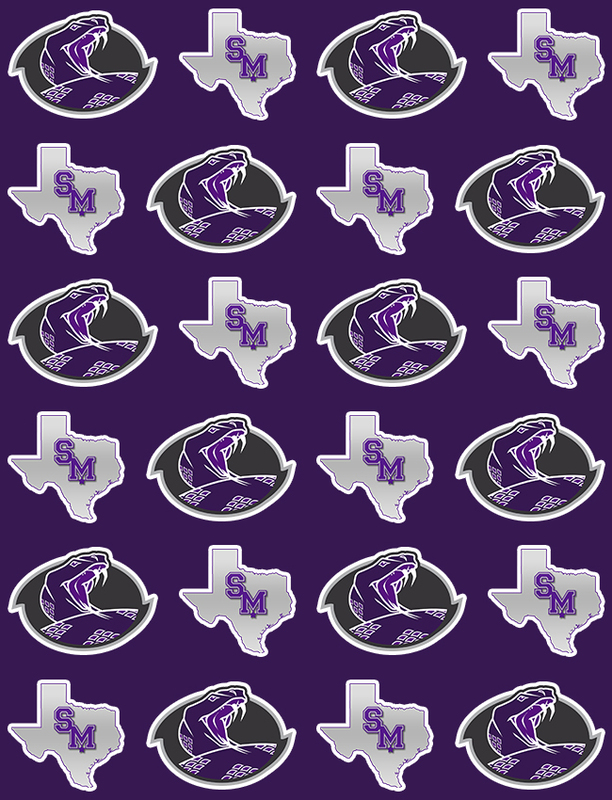 Seconds before halftime, Rattler quarterback Alex Garcia hooked up with Carlos Hernandez for a 40 yard touchdown pass that ignited the offense. Ronnie Perez was able to find the end zone three times after wonderful blocking up front. The line was led by Cruz Gonzalez, Chris Tarango, Josiah Abrego, Tristan Cowfer, Aaron Martinez, Ian Mendez and fullback A.J Gonzales. Trey Lewis off to the races for one of his four touchdowns.